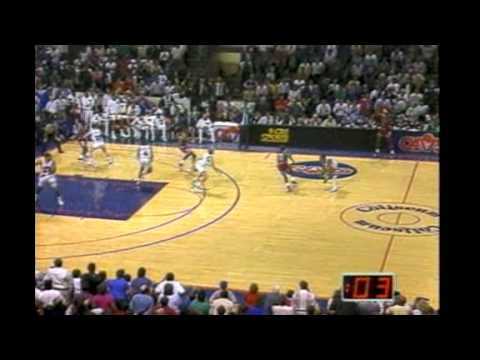 The Shot is the name given to a game-winning basket made by Michael Jordan of the Chicago Bulls in the fifth and final game of the first round of the 1989 NBA Playoffs against the Cleveland Cavaliers, on May 7, 1989, on Cleveland's home floor in Richfield, Ohio. The buzzer-beater gave Chicago the best-of-five series, 3–2. It was both a game and series winner. 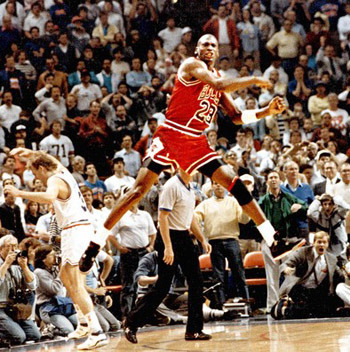 The Shot is considered one of Jordan's greatest clutch moments, and the game itself a classic. 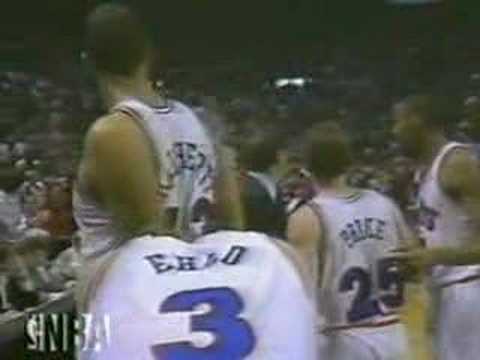 The Bulls were winless in six games against the Cavaliers in the regular season, including a 6-point loss in the final regular-season game in which the Cavaliers rested their four best players (Ron Harper, Mark Price, Brad Daugherty, and Larry Nance). The Bulls' playoff victory was considered an upset. In retrospect, it symbolized the beginning of a dynasty in Jordan's Bulls.